A dog that is expertly trained can be the perfect mixture of a friendly family pet and a security guard dog for your premises. We have many years of experience importing, breeding and training Dutch Shepherds, as well as a number of other highly sought after breeds. 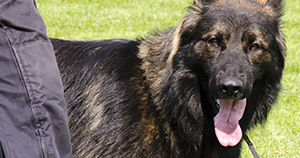 In selecting the right breed and maintaining the right training schedule, you can benefit from a dog who safe to be around your family, yet secure in the protection of your property. We also have a number of dogs at our training centre ready for purchase, each of which has undergone rigorous training and impeccable breeding. Our trained professionals will work with you to ensure you are partnered with the right dog to suit your protection and lifestyle needs. If you would like to make an enquiry about our various courses please contact our team.